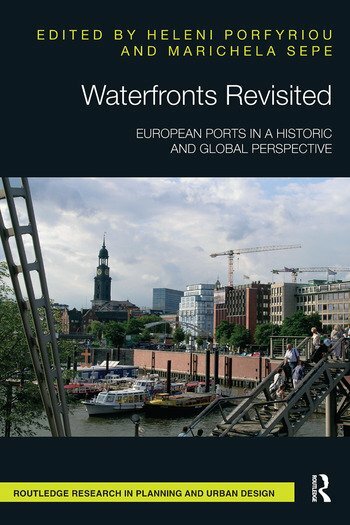 Waterfronts Revisited addresses the historical evolution of the relationship between port and city and re-examines waterfront development by looking at the urban territory and historical city in their complexity and entirety. By identifying guiding values, urban patterns and typologies, and local needs and experiences, cities can break the isolation of the harbor by reconnecting it to the urban structure; its functions, spaces and forms. Using the UNESCO recommendation for the "Historic Urban Landscape" as the guiding concept and a tool for managing urban preservation and change, this collection of essays illustrates solutions to issues of globalisation, commercialization of space and commoditisation of culture in waterfront development. Through sixteen selected case studies, Editors Heleni Porfyriou and Marichela Sepe offer planners and urban designers a broad spectrum of alternative solutions to waterfront regeneration interventions and redevelopments, addressing sustainability, regional cultural diversity, and the debate between conservation and transformation. 2. Dimitris Kontogeorgis, Romanian Danubian and Black Sea ports during the 19th century. Between tradition and modernization. 8. Francesco Gastaldi, Genova a success story! 10. Michelangelo Savino, Messina’s waterfront regeneration: what a chance to reinvent the city! Heleni Porfyriou is Senior Researcher in charge of the Rome Unit of the Institute for the Conservation and Enhancement of Cultural Heritage of the National Research Council of Italy—CNR. She has taught and published extensively on urban and town planning history in Italy and the Nordic countries. Her current research interests concern urban conservation, enhancement and management of historic cities in Europe and China. Marichela Sepe is a researcher with the IRISS of the CNR of Naples. Since 2003, she has been a member of the Research Doctorate Committee and a Contract Professor for the DiARC, University of Naples Federico II. Her research interests include the contemporary urban landscape, urban design, territorial and environmental planning, and creative urban regeneration. On these topics, she has published several scientific articles and books and won awards. Sepe is on the Steering Committee of INU and EURA, and a member of the UDG.